The concept of ‘Warp Drive’ featured in Star Trek (and other science fiction) can be a little tricky to visualise, given that Warp 1 is the speed of light and Warp 6 is 392 times the speed of light. 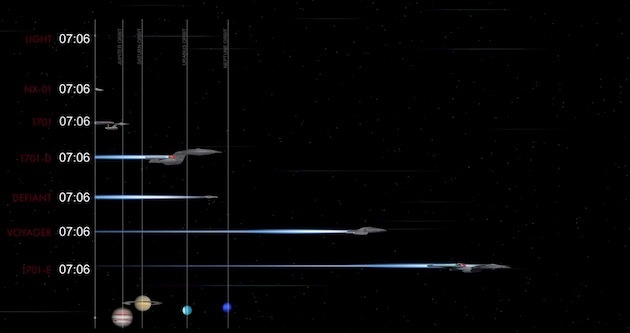 Trekkie EC Henry compares the relative speeds of various ships from the Star Trek canon including the original Enterprise NX-01, subsequent Enterprises, Voyager and Defiant, racing them from Earth to the edge of the solar system,. 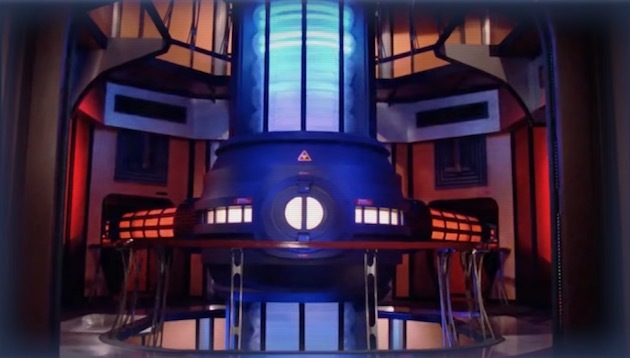 Posted in Science/Tech, Video and tagged Star Trek, velocity at 1:27 pm on January 30, 2019 by Chompsky.